It's been raining for the last few days, so what better way to contrast these cloudy skies then with a bright purple mani. 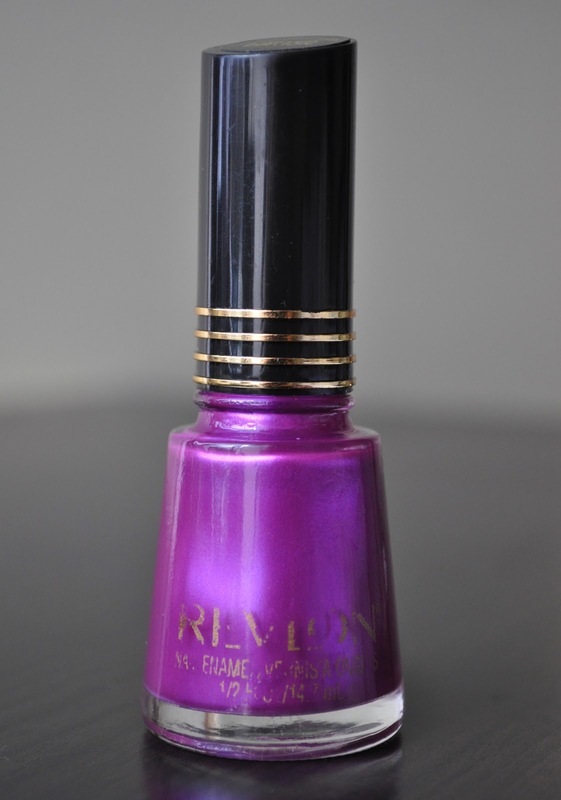 Purple Splash (a limited edition shade from long ago) is a magenta violet with blue and red shimmers. 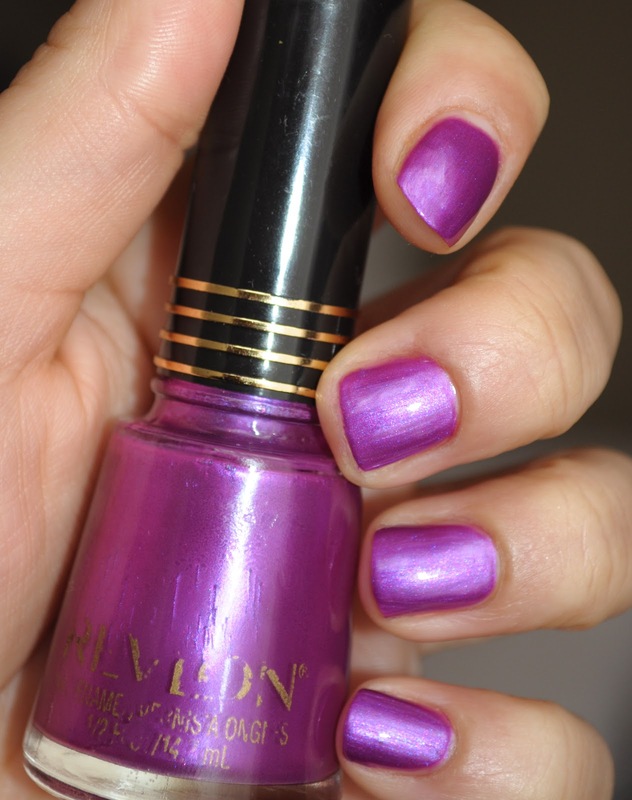 The formula is a bit on the thin side, taking three coats to achieve opacity. 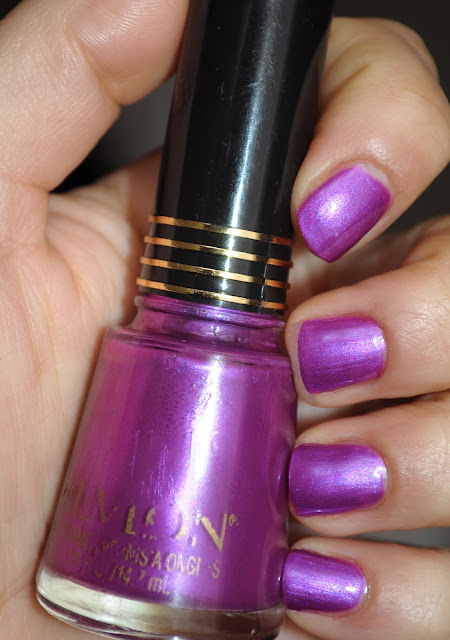 Depending on the angle and lighting, this polish is somewhat of a chameleon, changing between magenta violet, purple or a bluish purple. I love colors like this, especially during Spring when all the flowers are in bloom. What are some of your favorite magenta violet polishes? I love wearing it on grey days. the grey just makes it purple POP! Heya, I nominated you for the Versatile Blogger Award! Congrats...check out the details on my blog.. Thank you for the award Chelise!!! You rock!!!! Running on Empty: April Empties! Another blog hop is here! Come Take A Look At What's in My Make-Up Bag!